Eat Your Vegetables Day? I say, DRINK Your Vegetables! You know where I'm going with this, don't you??? That's Right! I say DRINK YOUR VEGETABLES! 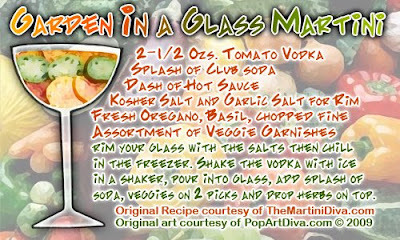 It's just chock full of vegetable goodness and spiked with tomato vodka for extra pizazz! 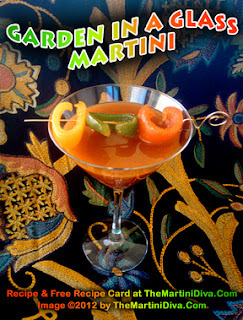 Purchase the Garden in a Glass Martini Recipe on fun, mailable POSTCARD. Get healthy at Happy Hour!